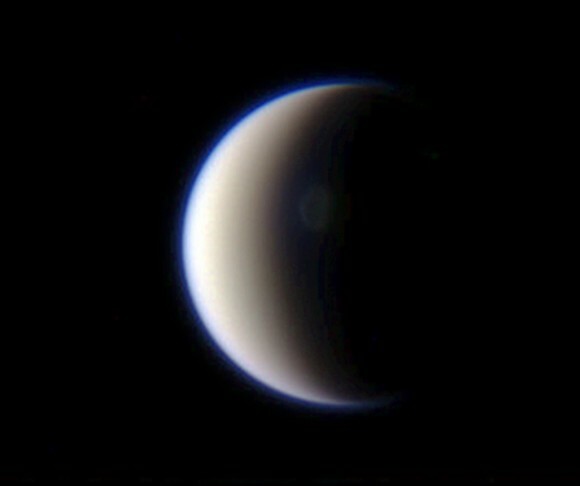 Titan is one of the only moon’s in our solar system that has an atmosphere. 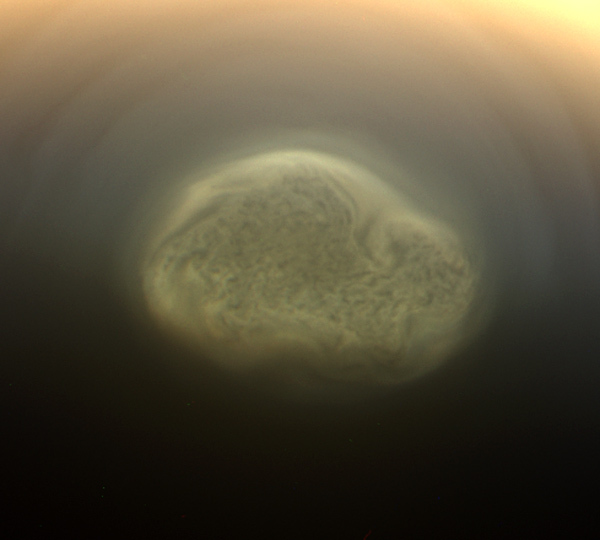 It’s amazing what they saw on the recent flyby of Titan. What they recently discovered is a swirling vortex of gas forming over the moon’s south pole. They say it’s a result of the upcoming winter for Titan.